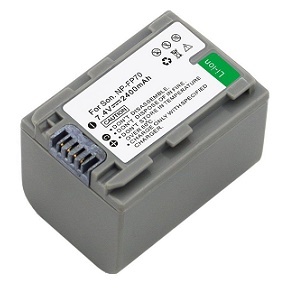 NP-FP70: 7.4 volt 2400mAh high-capacity Li-ION battery for SONY digital Camcorders & Cameras. Replaces NP-FP50, NP-FP51, NP-FP70, NP-FP71, NP-FP90, NP-FP91 models, etc. Installs on outside of Camera or Camcorder. Provides up to 4 hrs of operating time (up to 2 hrs recording time). 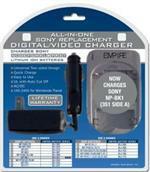 Fits Sony devices such as DCR-DVD105, Sony DCR-DVD108, Sony DCR-DVD308, Sony DCR-DVD610, Sony DCR-DVD810, Sony DCR-DVD92, Sony DCR-HC20, Sony DCR-HC21, Sony DCR-HC26, Sony DCR-HC28, Sony DCR-HC36, Sony DCR-HC38, Sony DCR-HC40, Sony DCR-HC52, Sony DCR-SR42; many more. 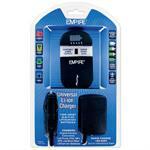 NP-FP50: 7.4volt 1000mAh Li-ION battery for Sony digital Camcorders & Cameras. Replaces original NP-FP30, FP50, FP51, FP70, FP71, FP90, FP91, etc.